This witty garden organiser is illustrated by renowned Devon artist, Simon Drew. As well as featuring an array of amusing sketches, it's also packed full of useful features and tips to guide you through the gardening year. 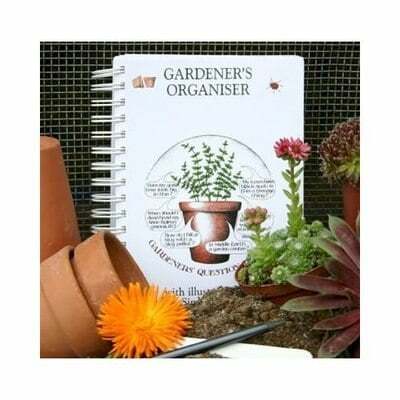 Reminder pages provide advice about when to sow different plants, and the best times to take cuttings; Looking Good pages let you know what plants are in flower that month, and special seed pages feature compartments to store seed packets. The book is spiral-bound, with a hard cover for durability and elasticated closure to ensure that stray notes stay in place.